The December figures for 2018 have yet to be released, but the year is already bigger than 2017—and is certain to be the best year for handmade cigar imports since 1998. Despite a poor showing in November, the latest month reported by the government, the American market is importing handmade cigars at a blistering pace. With only 11 months of data reported, imports for the year hit 331 million units, making 2018 the seventh consecutive year with more than 300 million cigars shipped, and the best year for cigar industry shipments since 1998, when 334.6 million cigars were imported. When the December numbers are factored in, 2018 is certain to be larger than 1998. November shipments of handmade, premium cigars were down 7.8 percent compared to the same month in 2018, according to the Cigar Association of America. Shipments from Nicaragua and the Dominican Republic—the two largest producers—were down, while Honduras, the No. 3 exporter, had a small gain. Nicaragua’s shipments were down 2.8 percent in units, to 14.1 million cigars. Shipments from the Dominican Republic dropped by 22 percent, to 9.4 million cigars, while Honduras showed a gain of 4.6 percent, to 6.9 million cigars. That one bad month did little to dampen a remarkably strong year. 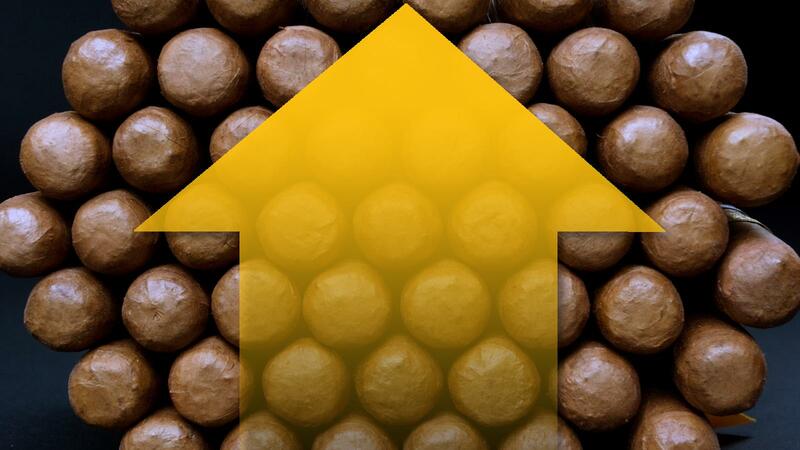 The 331.7 million premium cigars shipped to the United States for the first 11 months of 2018 marked a 9.8 percent increase over the first 11 months of 2017. Nicaragua maintained its No. 1 spot, with 158.3 million cigars imported through November. The Dominican Republic ranked second, with 107.9 million cigars, and Honduras was a distant third, with 64.1 million. No other country had shipments greater than 1 million units. This marks the fourth year in a row that imports have grown. "The higher imports show that we have a premium cigar market with strong fundamentals despite new regulations and taxes," says Javier Estades, president and CEO of Tabacalera USA, maker of the non-Cuban Montecristo, Romeo y Julieta and many other cigars. "Looking into the future, I believe that in the mid-range, the market will continue to be stable, and moving towards higher-value products with unique propositions."